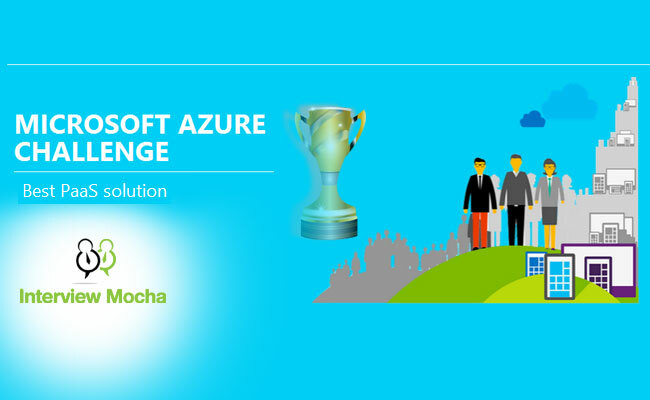 Guys... Interview Mocha has won the title of "Best PaaS Solution" (Organization Category) in the Microsoft Azure Challenge. Microsoft Azure Paas Award It feels great to emerge as a winner in Microsoft's search for "THE BEST IaaS AND PaaS SOLUTION BUILDER". As a PaaS Solution- Interview.